The secret to true greatness is a willingness to yield all of your unique qualities to the glory of a greater good. Our Bickford Family Members (our employees are family to us) engage in a greater purpose, knowing each and every moment plays a significant role in the story of our resident’s lives. Those Bickford Family Members who rise up to this calling and level of expectation are recognized every year at our Family Reunion during the Pearl Ceremony. A glamorous evening where gold “Pearl” statues abound, this much anticipated event has been considered the Bickford Oscars by some. People who are truly great at service are rarely treated as the hero they are; very rarely are they celebrated. We recognize our Bickford Family Members who have consistently gone above and beyond to enrich the happiness of our residents. They inspire us to genuinely engage with and make a difference in the lives of our residents. Being a Bickford Family Member (our employees are family to us) is more than a job – it’s a calling. In celebration of our Bickford Family Members who stand the test of time and continue to let their effort shine through all they do, we created the B91 Club – “B” for Bickford, “91” for our founding year. Every Bickford Family Member who celebrates their fifth consecutive anniversary with the Bickford Family is inducted into the B91 Club and presented with our Tree, a necklace honoring their service to Bickford. Attached to the Tree is a diamond, giving the Tree its beauty and uniqueness. We appreciate the loyalty and dedication of our Bickford Family Members who endure the pressures, pay the price and radiate the brilliance of the diamond they’re given. They show how happiness can overcome anything, a true example of our desire to enrich happiness in the lives of every resident we serve. 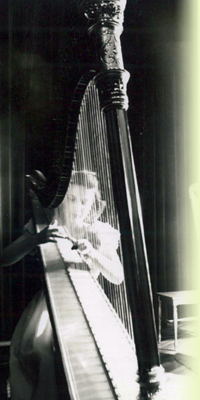 In the ninth grade, Mary Bickford began studying the harp. As her skills with the harp developed and she began performing, the music issuing from her harp became the voice illuminating her soul. Her music invited you in and became ethereal; to many she seemed an angel sent to earth. She moved with her music and in the process moved others by it. It became more than music; it transformed into a story all its own. It stirred you, empowered you, changed you. A talented and gifted musician, Mary performed her music all over Wichita and the surrounding areas. As she chose to practice in the early mornings her children awoke most days to the beautiful renderings of her harp. Clair de Lune became “Mary’s song” with many requesting it for their events. The manifesto of everything we do and believe can be found in the Pearl Book. More than an instruction manual, the Pearl Book reminds every Bickford Family Member (our employees are family to us) of the commitment we’ve made to our beliefs. While teaching us how to embrace the uniqueness in ourselves and others, we also learn how to give life to our residents through consistently fulfilling their core needs. In serving others, we realize that in turn we are receiving life and being transformed – working, loving and living out what we are meant to do. We believe that this transformational way of living is so important that we communicate it on a daily basis through the Daily Roots, a stand up meeting between Bickford Family Members every day on every shift. When culture plays such an important part of your lifestyle it must be a part of your every day. 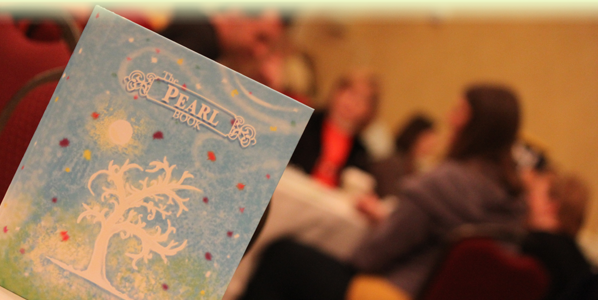 We review a different section of the Pearl Book every day, covering our entire manifesto every six months. With every Bickford Family Member engaging in our Lifegiving culture daily, we are reminded of what we do and how we are to do it. When you call Bickford home, we want you to know that the services you receive are provided by people who whole heartedly believe what they do is more than just a job. It’s a lifestyle. 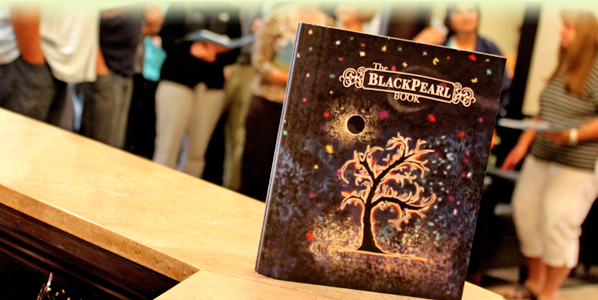 The Black Pearl Society is for appointed Lifegiving members of the Bickford family whom we call the Black Pearls. This exclusive society not only recognizes its members for living out Bickford’s Performing Culture, but also provides them an enhanced platform to have a positive impact in their Branch and to the greater Bickford family. Our Black Pearls provide job shadowing, mentoring new Bickford Family Members (our employees are family to us) and consistently communicating our culture throughout their Branch. Nominated and selected yearly by their fellow Bickford Family Members, Black Pearls lead the Daily Roots – stand up meetings on each shift held in order to consistently communicate our Lifegiving culture. Our Black Pearls are a true reflection of all that we are, all that we do, and all that we wish to become. If you want to know who the Black Pearls are in your branch, look to their name badge for their exclusive Black Pearl pin. Many people are surprised we accept pets; we’re surprised others don’t. 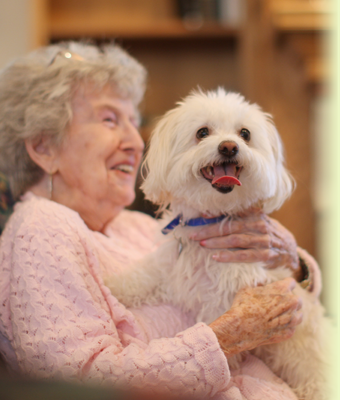 Can you imagine home without a treasured member of your family? We can’t either. The furry face of the Branch, our Branch Buddy is there when you need them with a warm heart and a wet nose! Just as you call Bickford home, so does the Branch Buddy – completing our Bickford family in a way only a pet can. Should you choose to bring your own pet, we will not only accept them into our family with loving arms – we’ll even create an individualized service plan for them. Every year we bring together the Bickford Family Members (our employees are family to us) that lead our Branches for our annual Bickford Family Reunion. In a two day, nonstop experience, we fuel the passion for those that drive our lifestyle. A combination of your favorite college class, The Notebook, the Olympic Games and Fear Factor, a Bickford Family Reunion isn’t your average corporate function. We build each other up and encourage each other because that’s what a family does. Good families have a few notable people in them that carry the weight of the rest. Great families find a way to give everyone their best role. And Bickford is the best of families. The Bickford Friends of the Family (BFF) Club is a fictional environment used in training our Bickford Family Members (our employees are family to us) how to interact with distinct personalities. Serving as a model for enriching happiness in the lives of its characters, the BFF Club characters are as unique as their names. From Pearl to Ruby, Ambert to Jasper and everyone in between, each one of them add color and spice to life. The situational experiences created in the club in which our characters engage show how happiness can overcome anything. These characters are an expression of the different personalities we encounter in our residents, who are just as unique and different as we are. By embracing the uniqueness in our Friends of the Family, our residents, we are able to meet their needs and enrich their happiness in more personal ways. Photo: Meet the BFF Club! Front row, from left to right: Flint, Sapphira, Pearl accompanied by Ruby, Crystal, Ginger and Ambert. Back row, from left to right: Galena, Jasper, Goldie, Rocky, Jade and Ivory. When we started Bickford our desire was to fashion an environment which nurtured and cared for Mary Bickford just as she had done for us. Today we strive to care for our residents just as we would for own loved ones because each and every resident is someone’s cherished family member. The Enriching Happiness Survey was created to give you a chance to tell us what you like, what you love and what we need to improve on. After each survey, we aim to be completely transparent by presenting the collective survey results through a family council meeting. Then we transform ourselves by working with our families to create an agenda to improve targeted areas together. From a simple task such as the folding of laundry to more complex care needs, everything matters when it is your loved one living in Bickford. Bickford currently operates 50 Branches in 9 states with additional Branches in development. Our approximately 2,000 Bickford Family Members (our employees are family to us) serve nearly an equal number of residents. Most companies measure their success in numbers – revenue, number of Branches, number of employees. That’s not our measure of success. We’re not a public company driven by quarterly earnings. We don’t have to be the biggest; we’re not run by ego. That’s the luxury of running a family business - we only grow to the extent we can grow people who provide the level of service we would expect Mary Bickford to receive. Don Eby’s life took him down many paths, however in retirement ranching became one of his passions. He loved spending time with his family on the ranch, and watching his children and grand-children take advantage of the wide-open spaces. In building his cattle operation, Don wanted his ranch to reflect and embrace his family’s values. He wanted his customers to understand that his cattle were built on quality, and that the Eby name stood behind every animal the ranch produced. 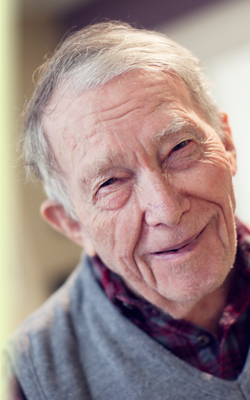 Many times physical needs are what drive a senior adult or their family to begin considering alternative care options. But often forgotten are the emotional and spiritual needs that surface during a difficult life transition – the passing of a spouse, the sadness of leaving a home you’ve loved for years, or the guilt a family may feel when they move their parent from their home. 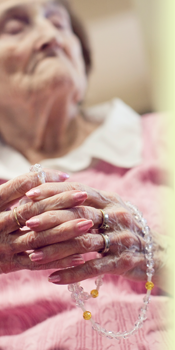 At Bickford, we believe in caring for the whole person – physically, emotionally and spiritually. We believe this so strongly that we provide complimentary chaplain services through Marketplace Ministries, a national provider of chaplain services to more than 380,000 families. Our chaplains lead Bible studies, church services and prayer groups in our Branches and visit our residents and their loved ones in a family home or the hospital when needed. We invest in this program so you will have a dedicated team of local chaplains around the clock – wherever and whenever you need them.